Come and experience what life at Orchard Ridge is like! Bring the whole family to our Fall Harvest Festival featuring live music, Chick-fil-A catering, carriage rides, carnival games, a petting zoo, caramel apples, kids’ activities and plenty of tasty fall treats. And while you’re here, you can tour brand new model homes, explore miles of hike and bike trails and check out what’s growing in our bountiful Community Gardens. RSVP here for this free, public event. There isn’t a more classic fall activity than visiting a pumpkin patch. 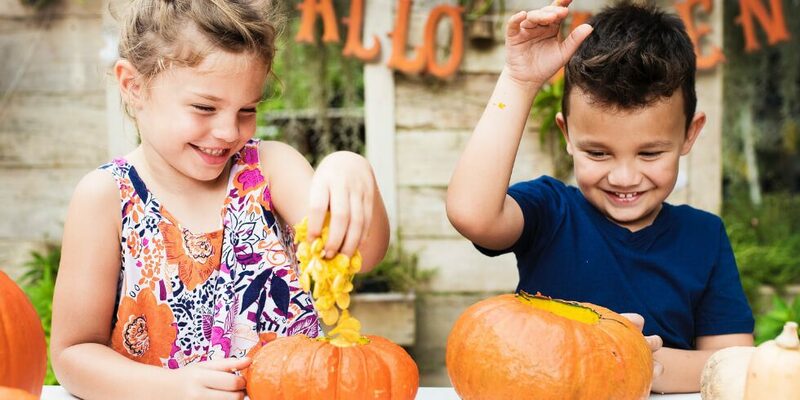 At the Texas Big Worm Pumpkin Patch, not only can you pick out your very own pumpkin, you can take a hay ride, decorate pumpkins and feed farm animals. Plus, the beloved and ever-popular corn bin is back again this year! Kids will love the unique experience of digging, scooping, crawling and rolling in dried corn. The Georgetown Halloween Festival provides a safe, fun environment for the whole family to celebrate this spook-tastic holiday together. Dress up and let the kids participate in the costume contest before getting bucketloads of candy at the trick-or-treat village. Then you can all decorate pumpkins, play carnival games and munch on the tasty treats available. Looking for something different to do this autumn? The Kitchen House Fall Fest is a live cooking competition featuring all of the seasons’ best flavors – there’s even a kids’ cook-off! The whole family will love this event with games, face painting, prizes and even a make-your-own-treat station. Wrap up the afternoon by stopping by the chili bar, and enjoying some of fall’s most iconic dishes. Kick off your Thanksgiving holiday with the Georgetown Turkey Trot! With a five-mile run, one-mile walk, kids’ run and vendor booths to browse, there’s something for the whole family to take part in – even if you’re not a runner. Plus, proceeds benefit Williamson County Meals on Wheels as well as Friends of Georgetown Parks and Recreation, so this is an event that even gives back to the community. Beyond tons of entertainment and recreation opportunities, Orchard Ridge’s location also provides easy access to great schools and employment hubs. To learn more about what Orchard Ridge has to offer, join our Interest List or schedule a tour.